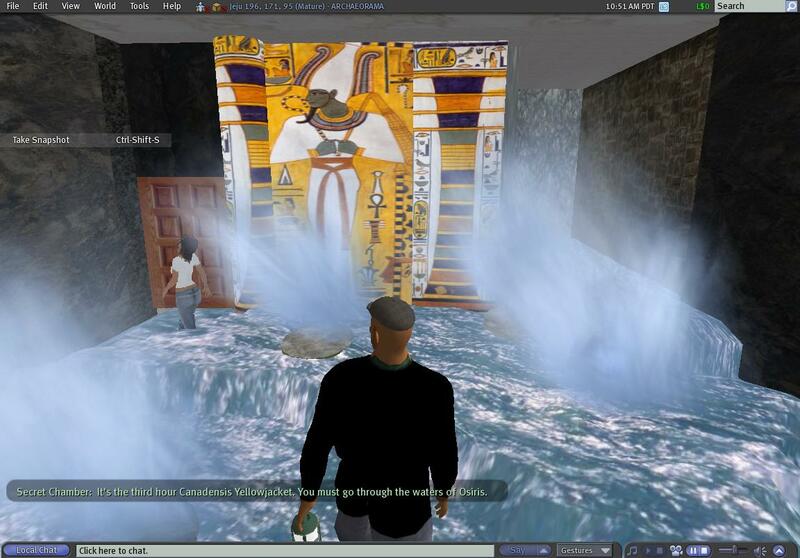 I confess, I am not very aware of what’s going on in Egyptology – but visitors to Rossella Lorenzi’s new space in Second Life certainly will become so! And here’s the link to a video Rossella made to give some of the flavour of the jouney. Finally, cheers to Rossella for a well-done build in Second Life!